If you're a skiing or snowboarding enthusiast, the Iceland might be the perfect destination for your next ski holiday. Most people associate Iceland with extreme adventure sports and outdoor pursuits like glacier hikes, ice cave, and glacier cave exploration in places like Langjökull, Vatnajökull, and Skaftafell. You can even hire a snowmobile and take a tour that way. But if you're looking to hit the slopes and enjoy some of freshly fallen snow, you need to head north. 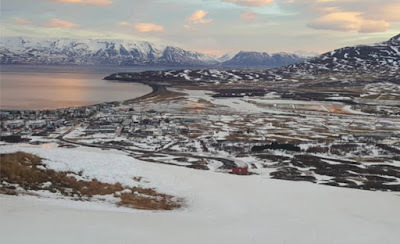 Come to Dalvík, also known as the ski capital of Iceland. With state-of-the-art installations, and bunny slopes for the kids, you'll find everything for skiers of all levels from novice to expert. So grab your skis, snowboard, or other equipment and get ready for some fresh powder. Dalvík is located in North Iceland, just west of the country's second-largest city, Akureyri. It's about a 35-minute drive away. The Dalvík ski area has seven pistes in total. Its longest slope is 3,937 feet (1,200 meters) long and has flood lighting. 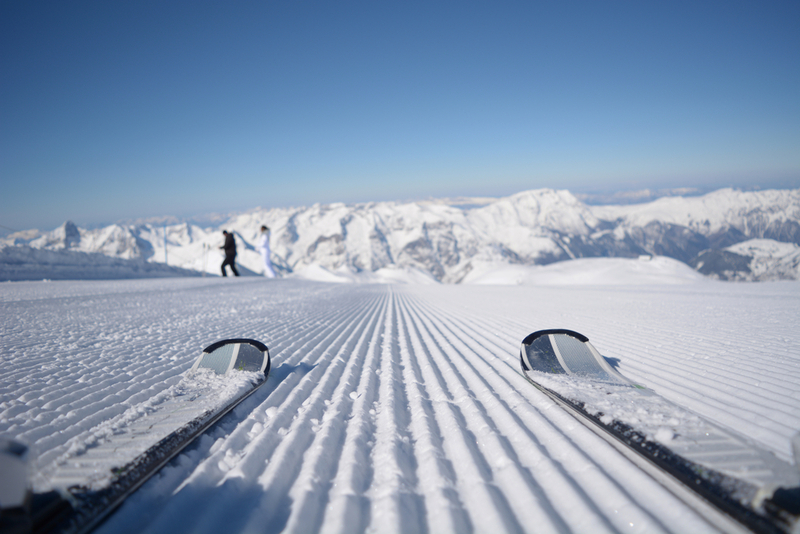 The resort is equipped with a snow production system in order to always ensure optimal skiing conditions. Their three snow cannons keep the supply fresh. There is also a cross country skiing track next to the main skiing area. One of the best things about the Mt. Böggvisstaðafjall ski area is that you can reach it by foot from Dalvík’s city center. 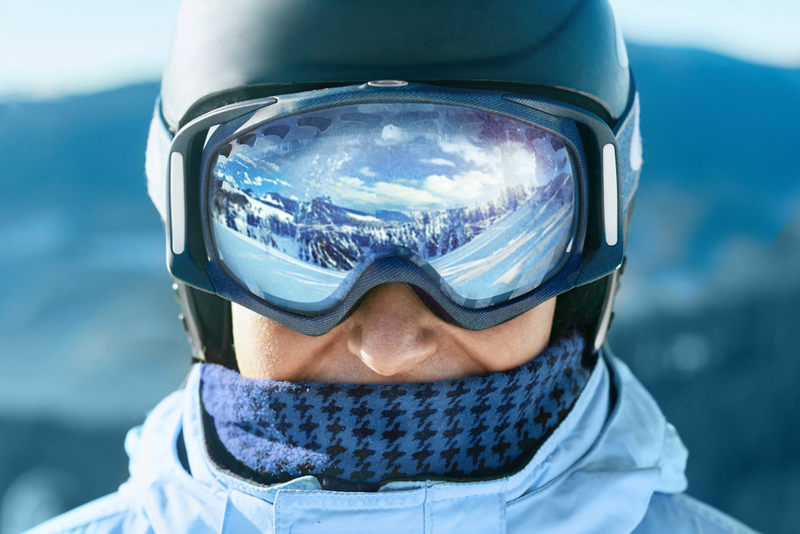 There are also places to rent skis, helmets, ski goggles, and other equipment. If you’re looking to stay overnight, they can accommodate up to 40 sleeping bags. The opening hours of the resort during ski season are Monday, Wednesday, and Friday from 14:30 to 19:00 (2:30 pm to 7 pm), Tuesdays and Thursdays from 16:00 to 19:00 (4 pm to 7 pm), and weekends from 11:00 to 16:00 (11 am to 4 pm). Day passes range from 1,700 to 3,300 ISK (800 to 1,300 for children). Weekend passes are 7,900 ISK (3,100). An adult is considered anyone born after 2002. Children six and under do not need to pay a lift fee but have to buy a key card. They cost 1,000 ISK and can be used as a day pass or a season pass. For specific info, please contact them at skidalvik@skidalvik.is. If you're coming to North Iceland or Akureyri, think about making a stop in Dalvík. It's got skiing and fun for the whole family. And here you thought the only thing happening in this small Icelandic town was the fish festival in the summer. Come discover Dalvík's winter side!